Totally not wanting to hijack your thread but I thought it may be appropriate to share what I have been working on. Just a teaser. Looks great! What is the power setup? Details will come... just a teaser. This is the prototype. More hijacking of this kind, please. Oh man, willsonman, that plane looks great, just proceed. I'm currently refining the plans after building the prototype. There are a few tweaks and building helps that I am trying to include. The final version will not have paper on the foam so I have some work to do there. Its actual span is 78" since the 1/12 is 77.75. 78 was just a nice round number. 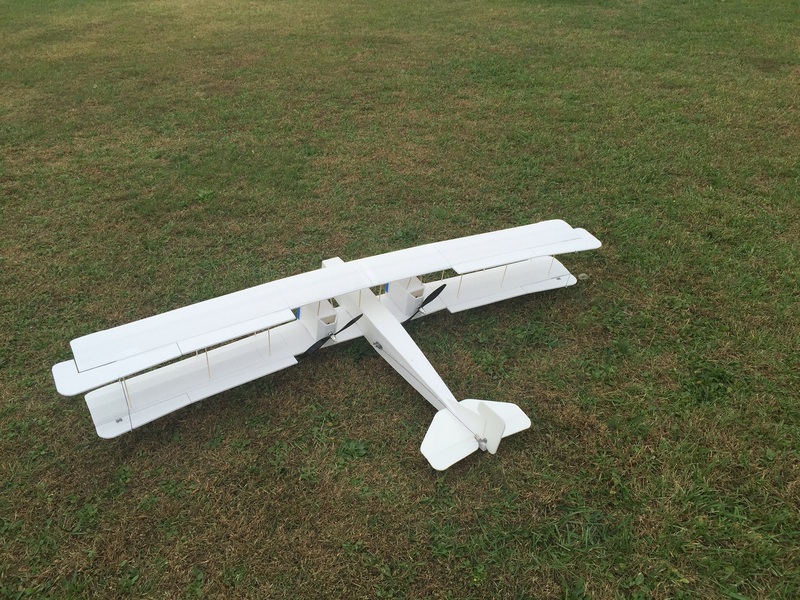 The airfoil is flat-bottomed rather than undercambered. Struts are bamboo skewers and the spars are box spars. The outer portions of the wings are removable using paint sticks to tie the spars and more skewers to keep the wings from twisting. The prototype was built using standard FT techniques (foam board and hot glue) but I'm stepping up on the final version to show how to make a longer lasting model. Really the point of this is to teach people how to build a little better and become better pilots. The profile is completely scale and really does fly in a true scale manner. The tips have been undercambered but only a minimal portion. She will still slip out on you if you fail to coordinate your turn properly. Take-off is standard WWI issue as is the landings. Wheels are the usual FT 3" wheels. Nothing out of the ordinary. Again... just an offering for those who want to step up their flight and building skills. Willsonman - Outstanding! Can't wait to see further developments. Hotwax - Awesome birds! Looking forward to the plans. Hotwax, Thanks so much for putting the time in and posting! Fantastic, amazing! I just heard about this thread on the latest Community Podcast #2. What are your coloring techniques? 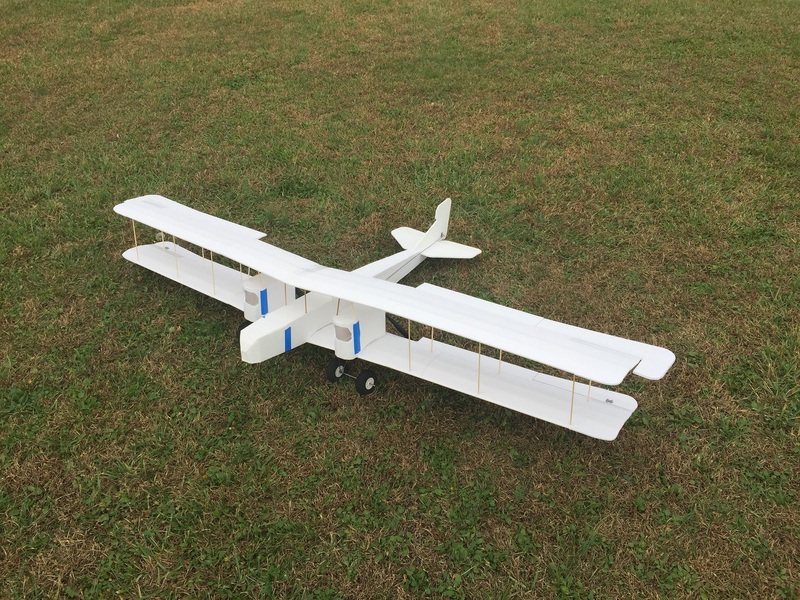 You have my vote for next FT Community plane! I'm using european foamboard where the paper is more or less waterproof. I use household water based acrylic paint, semigloss, rolled on with microfiber rolls. At the edges I use a soft brush. If you use Ross Foam, you possibly could use the same technique. Beautiful Job! Thanks for the reply! Can't wait for the plans for the three of these, particularly the D.H.2. Beautiful looking aircraft. the FB Eindecker drawings are out. the FB Kite drawings are out. Excellent work! I really hope others give these some love. Should there be more to come?